Fascinated by flowers’ structure, with the slender stalk or peduncle supporting large petals, and by the wonders of nature itself, Ishimoto built a simple studio in the living room of his Tokyo home and began photographing flowers. That was in 1986. With a black board reflector and a flash unit set up in his living room, Ishimoto photographed flowers throughout their lifespans: from their buds’ opening to their wilting and drying up. He immediately decided to publish those images as a photobook. His publisher requested that he complete the photography for the book in three months, but Ishimoto continued his work for a year. The longer time period mattered because he could have photographed only a limited group of flowers in bloom within three months; his intention was to photograph the flowers of all four seasons. Thanks to his determination, the resulting book, HANA, shows us flowers from each of the seasons―the Chinese peonies that bloom in early summer, summer’s common sunflowers, chrysanthemums in autumn, and the narcissus that grace early spring. 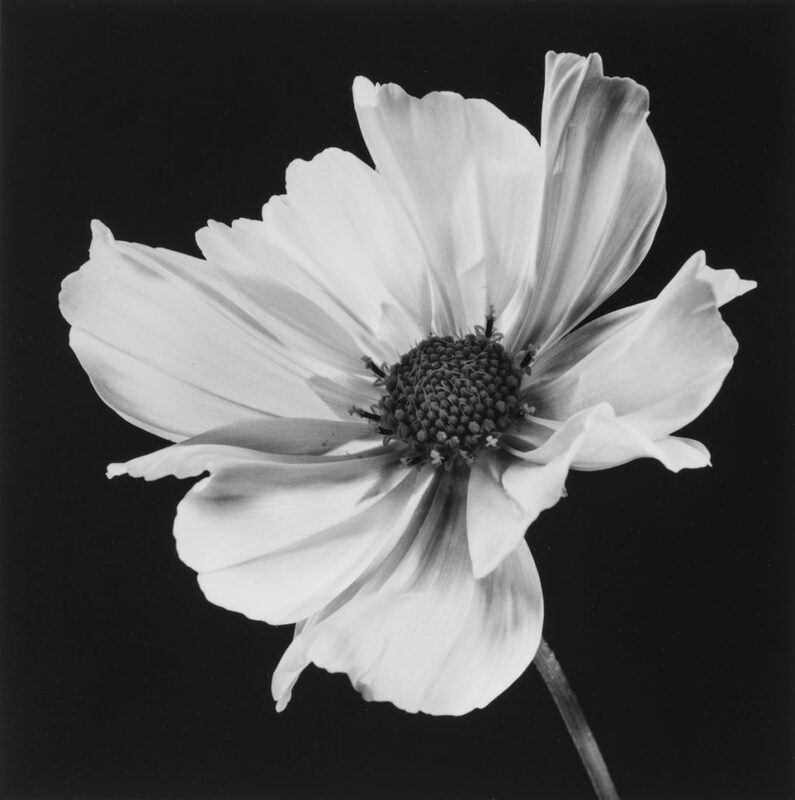 Ishimoto also contributed the essay “Photographing flowers” included at the end of the book. In it, he states, “When I formally arranged these flowers, I could have been laughed at by people saying, ‘Aren’t they all just flowers?’ But I was seriously attempting to encounter the creation of the form of the flower through my lens.” He incorporated the sculptural beauty of flowers and their evanescence as living things in his photographs. Ishimoto also wrote, “You will notice that these images are totally devoid of color. I intentionally avoided colors. The first reason was, of course, that I hoped to take photographs that scrupulously adhered to the flower’s form; but looking back, I can also see that I was resisting the usual mundane inundation of color, which seemed to me like nothing less than insanity.” These choices reveal the distinctive characteristics of Ishimoto’s HANA, which are not the flowers, the hana, that other photographers have photographed. This exhibition presents original prints made by Ishimoto. The core consists of works included in the HANA photobook.